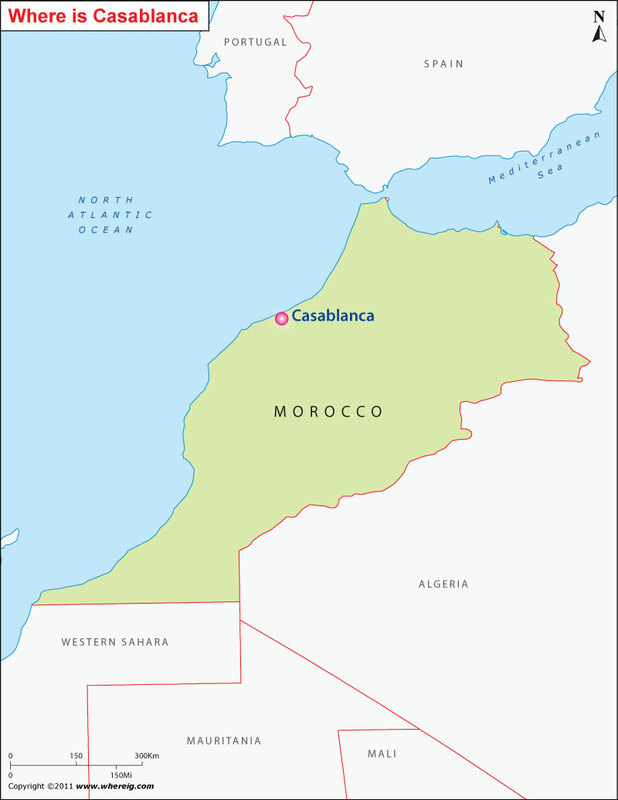 As shown in Casablanca location map, that Casablanca is located on the coast of Atlantic Ocean in the north-western part of Morocco. The city Casablanca is the capital city of the region of Grand Casablanca. Furthermore, Casablanca is the largest and port city of Morocco. The climate type of city is Mediterranean. Though, the capital city of Morocco is Rabat but Casablanca is the economic and business center of the country. The report given by the Industrial Statistics depicts that Casablanca maintains its historical position as the main industrial zone of the country. Casablanca Port is the largest port of North Africa, and one of the largest artificial ports of the world. Moreover, with the 32% of the country's production units and 56% of industrial labor, The Grand Casablanca region is recognized as the locomotive of the development of the Moroccan economy.